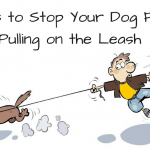 This is the #1 way to keep your dog from jumping on people and it is pretty easy if you think about it. Yet it requires some work and some follow through. 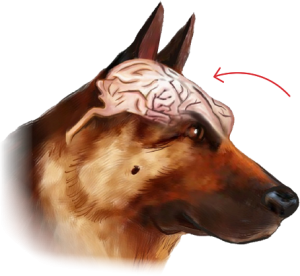 If all it took was 2 minutes of work and a magic wand, no one’s dog would ever jump again. Yet even though it is easy it does require follow through, consistency and work, especially in the beginning. 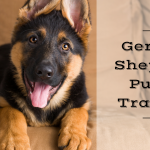 After a short period of time of teaching your dog and his learning you can drop the training and have that normal dog we all want. Imagine you are playing a very competitive internet game and the stakes are HIGH I mean they are so high that if you do what you are supposed to you will have $10,000 waiting for you on the other side. But just one mistake reduces your take by more than $1,000. You have 6 months and if you are successful after that, completely your take doubles to 20,000. It is your job, should you choose to accept it, to NEVER let your puppy jump up on anyone outside the family (I think we should be rational enough to understand that it will happen to you and immediate family and you can deal with that by properly teaching your puppy that jumping on you brings no reward). Would you do it? Would you sign up? What if you had to pay double the money back if the dog kept jumping on people? 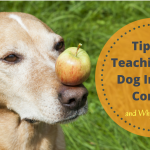 Are you confident enough in your dog training and handling skills? 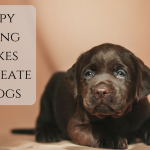 I know it isn’t easy to keep a new or boisterous puppy or dog from jumping on someone during a greeting but consistency is what is important. People tell me this all of the time, but jumping on people isn’t fun! For the dog it is!!! The human squeals and dances and yells. 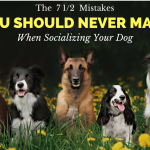 Sometimes they even get swiped at or pushed, kicked, poked and believe it or not; that is kind of fun for a dog and causes some over stimulation too! Meaning the dog will run off abruptly then come back and spring board off of you. 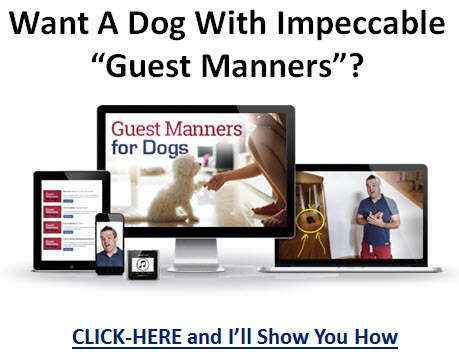 Begin by teaching your dog incompatible obedience manners like these. I always liken this kind of training to the sad baby elephant in the circus. A big chain goes on the baby elephant to keep him in his space and from running. He struggles at first but he simply can’t achieve what he wants. Eventually he give up. But as he grows, he could snap that chain, the difference is that he has been taught and conditioned that he cannot so he stops trying. A dog cannot jump on someone if he is sitting. 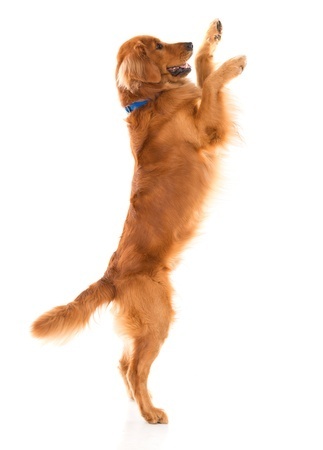 A dog cannot jump on someone if he is in a down position. Plus it gives him a basis of listening to you, learning and being rewarded. Use the best rewards ever! At my house my freshly baked and slightly dehydrated liver treats are better than any visiting human, as it should be. I don’t mind my dog learning that visitors bring rewards; but they should be bringing the mediocre boring rewards that bring minimal joy. 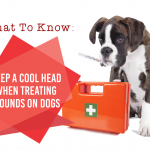 If THEY have the liver your dog wants and they are baby talking your dog and petting him what do YOU have to keep your dog well behaved? Nothing, you would have absolutely nothing. Throughout the rest of my dog’s life, I need to be the most rewarding thing to him. I want to be his best friend and the person that takes care of all of his needs. I can’t let anyone else become more fun than me or I lose the ability to control him. So when people come over to my house, I have a leash hanging near the door. Then with my dog on a short leash sitting at my left side I swing the door out and encourage people inside. If he leaps up, I tell my guests to step back out until he can contain himself. (if these are important visitors then crate the dog). I simply don’t allow my dog close enough to develop the behavior of jumping. Once he has stopped trying to jump at all and has learned good and calm manners we revisit greetings. But I still keep him on a leash and if he were to pull or pounce he loses a privilege. 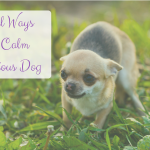 If he greets with a calm and quiet attitude I REWARD HIM WITH HIS FAVORITE TREATS or toy. He should be listening and being obedient for the treats I have. This usually also ensures he follows me around and not them. I could get that $20,000 no problem. 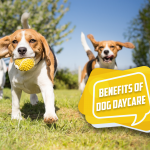 Better than any $20,000 is a well behaved dog that doesn’t bother your guest because his training has been consistent and impeccable! I have two Malteses. Both male. 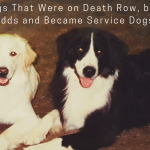 They are 8 years old and barkers. One is a rescue that I have had for three years. They will bark at anything and everything that may be outside. People passing the house, someone working in the yard, anything that is loud ( lawnmowers, pounding from construction work) Have not had much luck in stopping this behavior. Anything you suggest I do? “and if he were to pull or pounce he loses a privilege.” I have two 5 year old dogs that freak out excitedly whenever someone comes to the door. I get using the short leash, but the comment about “losing a privilege” has me baffled. How to you react when they pull or pounce? What does “lose a privilege” mean to a dog and how is it communicated? The dog wants to socialize and pounce, correct? Losing a privilege is to keep him from doing that by having him do a down stay on his bed, putting him in another room, putting him outside and therefore taking away what he wants. Do you have a recipe for your fresh liver treats? I just use a dehydrator or cook it on about 250 in the oven until it is dry. No seasoning needed.